Quote: "We don't do that... turkducken, that's terrible. It's s**t... I went round to a Thanksgiving last year (at my) friend's. He said, 'My mum's doing a turducken.' Honestly, when this thing came out, I swear to God, it's the biggest pile of c**p I ever tasted in my life...! I knew it was overcooked, you could just smell it's overcooked! So I got friendly with the dog, and I was like, slip, slip, slip (give food to the dog), eat eat eat, slip slip... Two minutes later the dog was throwing up...! How bad must your food be when the dog doesn't like your s**t?!" British celebrity chef Gordon Ramsay is not a fan of the American tradition of a three-bird 'Turducken' feast, in which a chicken is stuffed into a duck, which is then stuffed into a turkey. Quote: "I'm more concerned they're going to date a chef. That's the bit that scares the c**p out of me... and I'm gonna grill his f**king a**e." Celebrity chef Gordon Ramsay fears his daughter will find love with a fellow kitchen devil. Quote: "I was up in Latigo Canyon last weekend, and that's, like, a 12k (kilometer) climb up this very steep hill, and there's this lady driving alongside me, and I'm like, 'Sweetheart, I am absolutely shattered. Please move on'. And she's shouting at the back of the car, 'Hey Chef Ramsay, come on, let's do a selfie!' (She was) outside a convertible, leaning over, driving with one hand. Honestly, she nearly knocked me off my bike." 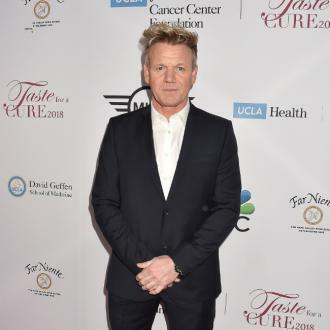 Tv chef Gordon Ramsay had an unwelcome encounter with a fan while he was out training for an iron man competition in Malibu, California. Fact: Celebrity chef Gordon Ramsay is pulling the plug on Kitchen Nightmares after wrapping filming on the 12th season of the reality Tv show. The cook launched the restaurant disaster series in 2004 in his native Britain. The programme made its debut in America in 2007. Quote: "I am allergic to vegetarians... I would pay my kids never to be vegetarian." Celebrity chef Gordon Ramsay is eager to prevent his children from adopting a non-meat diet. Tweet: "Just when you thought it was safe to make cup cakes a tarantula hides in my mixing bowl holy c**p! (My son) Jack ran a mile! (Wife) Tana's calling the Lapd & the girls are fascinated hilarious its (sic) only a spider" Celebrity chef Gordon Ramsay had a fright after finding a tarantula at his Los Angeles home. Quote: "Humiliating, embarrassing, and very emotional. Because when it doesn't work, then you start questioning yourself, and then you stop going to parks, you stop going away on family-oriented weekends, and you just, well, you put that pressure on yourself." Celebrity chef Gordon Ramsay on going through in-vitro fertilisation (Ivf) procedures with his wife Tana. 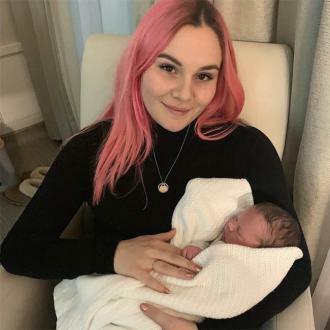 The couple now has four children. Fact: Celebrity chef Gordon Ramsay will be competing in his 12th London Marathon on Sunday (22Apr12). The TV star, who competed in the Los Angeles Marathon last month (Mar12), will be running on behalf of the Scottish Spina Bifida Association. Fact: Maroon 5 guitarist James Valentine, celebrity chef Gordon Ramsay and Lord Of The Rings star Sean Astin will be among the 25,000 runners hitting the streets of Los Angeles on Sunday (18Mar12) for the city's 27th annual Honda L.A. Marathon. This year's big event begins at Dodger Stadium and ends blocks from the Santa Monica Pier. The run will be Astin's third - he also competed in 1998 and 2010. Quote: "I hate dinner parties. Hate them. I really try not to go - mostly because I can't sit there and pretend that everything's delicious when it's not. The food is so often s**t." Celebrity chef Gordon Ramsay hates friends' soirees. Fact: Soccer ace David Beckham celebrated his 36th birthday on Monday (02May11) by heading to a Los Angeles Lakers basketball game with chef pal Gordon Ramsay. The sports star flew back to the U.S. over the weekend after attending the wedding of Prince William and Catherine, Duchess of Cambridge in London on Friday (29Apr11). Quote: "My favourite movie of 2009 would have to be Invictus. Matt Damon is just an extraordinary talent. He's also quite a foodie. He loves the chef's table at Maze in Cape Town. Also Precious was a great film, and Gabourey (Sidibe) was amazing in it." Top chef Gordon Ramsay names his Oscars picks. Fact: TV chef Gordon Ramsay's wife TANA has been named Celebrity Mum of the Year by U.K. supermarket chain Tesco. The couple has four young children; Megan, Matilda and twins Jack and Holly. Fact: TV chef Gordon Ramsay's wife TANA was voted off U.K. reality show Dancing On Ice on Sunday (31Dec09) night, after scoring just 12 points out of a possible 30 from the judges. Quote: "For every hurdle we were jumping, we had this great support. They're a normal, fun, loving couple who are the most doting parents ever. They've been a huge pillar of support." TV chef Gordon Ramsay knows he can turn to his friends DAVID and Victoria Beckham during tough times. Quote: "She's promised that if she wins, we can have a baby. I've always wanted five babies and so has she." TV chef Gordon Ramsay intends to add to his brood if wife TANA wins U.K. reality show Dancing On Ice. Fact: Celebrity chef Gordon Ramsay has got a roasting from clients - four of his restaurants in the U.K. have been named among the country's ten most disappointing eateries in a survey by respected Harden's Guide. Complaints from diners included poor dishes and sky-high prices. Fact: Celebrity chef Gordon Ramsay was pulled over by police in London on Monday (22Jun09) after he was caught driving his black Ferrari while talking on his cell phone. The Brit was fined for the traffic violation before he was allowed to drive off. Quote: We had George Clooney and Brad Pitt in at Claridges when they were filming OCEANS ELEVEN. They got upset because my head chef set the kitchen on fire. We had to evacuate the place and George and Brad were not happy. 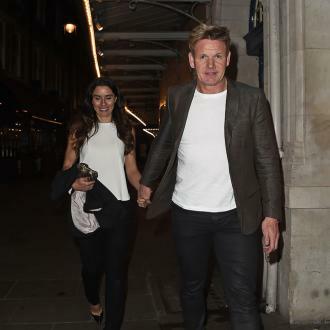 They were standing outside probably muttering f**king chefs. Celebrity chef Gordon Ramsey reveals the worst guests to have come into his London restaurant. Fact: Former DYNASTY star Linda Evans is to take part in British reality TV show HELL'S KITCHEN with celebrity chef Gordon Ramsey. The 66-year-old actress played glamorous CRYSTAL CARRINGTON in the 1980s soap opera. Fact: Robert De Niro, Clint Eastwood, Sharon Stone and Mariah Carey were among a host of Hollywood stars who flew into South Africa on Thursday (02Apr09) to celebrate the opening of the exclusive The One & Only resort in Cape Town. Celebrity chef Gordon Ramsey laid on a lavish feast for the A-List guests. 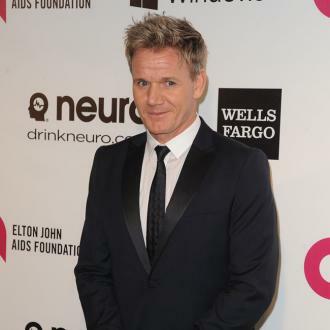 Fact: Celebrity chef Gordon Ramsay has sold his Los Angeles restaurant, Gordon Ramsay at The London West Hollywood. The foul-mouthed reality TV star opened the venue in June 2008. Fact: TV chef Gordon Ramsay doesn't appear to have been affected by the current global economic crisis - he's paid himself $10.5 million (£7.5million) for five years work, according to his latest company accounts. Fact: ROLLING STONE rocker Ronnie Wood, the Spice Girls, and celebrity chef Gordon Ramsay are among a host of British stars who have donated autographed items to an auction in aid of U.K. teen cancer survivor ANNIE DICKENSON. The items will be sold off to help towards costs for her recovery treatment from Hodgkin's lymphoma. Fact: Celebrity chef Gordon Ramsay has become the star of his own video game. The British cook will have gamers competing in the kitchen as they attempt to build a five-star restaurant with Ramsay's stamp of approval when it hits shelves in the U.S. next month (Sep08). Fact: Celebrity chef Gordon Ramsay's reality TV show HELL'S KITCHEN is being turned into a video game. Quote: "If you think I'm tough, trust me, and wait till you see when the children are on the naughty step." 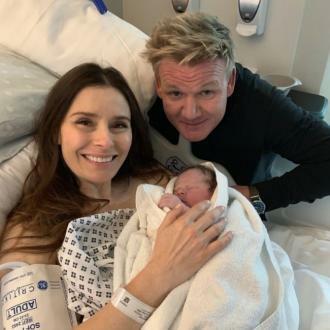 British celebrity chef Gordon Ramsay praises wife TANA's parenting skills. Fact: Celebrity chef Gordon Ramsay has splashed out on a GBP20,000 ($40,000) Harley-Davidson. The 40-year-old previously vowed he wouldn't buy a motorbike before he was 50 because it was the sign of a mid-life crisis. Fact: Celebrity chef Gordon Ramsay is celebrating after two of his restaurants were awarded prestigious Michelin stars. The HELL'S KITCHEN star's London eatery Petrus picked up a second star, while La Noisette made the Michelin Guide for the first time. Fact: Celebrity chef Gordon Ramsay has been named the scariest man on TV in a new poll of British television tyrants. Acid-tongued pop mogul Simon Cowell only made number 10 on the list. Quote: "I am quite p**sed off that I am being compared to Simon Cowell. I am 10 times worse than him. I'm an eight headed monster." Celebrity chef Gordon Ramsay insists he's far scarier than the acid-tongued TV talent show judge.